Take advantage of selected reduced prices with JS Hayes throughout March to May 2016! 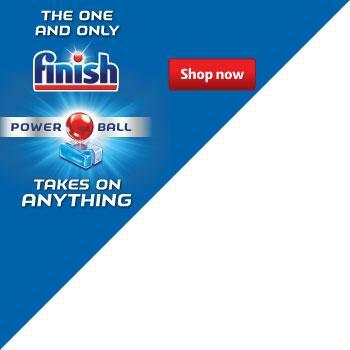 Finish is the #1 recommended brand by more dishwasher brands worldwide and has been at the forefront of automatic dishwashing for over 60 years. Finish products are recommended by more dishwasher brands worldwide than any other brand. Please contact your local JS Hayes branch office for further information.